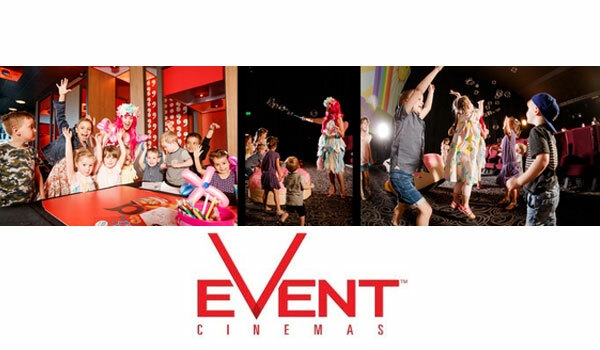 Kids can be Kids at Event Cinemas – Spotlight Report "The Best Entertainment Website in Oz"
Keep the little ones entertained for an afternoon (or two) with Event Junior, Event Cinemas’ new concept program tailored to creating a cinema environment where kids can be kids. Rolling out at select Event Cinema locations nationally*, Event Junior is targeted to younger kids and includes pre-screening entertainment, play areas and activities like face painting, juggling, balloon artists and more. The activities take place in the cinema, creating a more relaxed environment where kids can run around, have fun with new friends and parents can relax. Pint sized movie lovers will also have an appealing program of films to choose from including, Pokémon, Hey Duggee, My Little Pony and Barbie Dolphin Magic. A 10 minute intermission is built into each screening so kids can have a potty break or a stretch of the legs with some play! To compliment the program of films and entertainment, a dedicated kid-friendly menu of mini combos, muesli bars, juices and fresh fruit, as well as coffee and tea for parents is available to order from staff as you arrive at the cinema and from the in cinema snacks cart. So if you’re looking for an entertaining day out with the young ones, Event Junior offers everything parents with young kids could want – ease of car parking, pram parking areas, kid menu options and a family friendly environment where kids can be kids whilst parents sit back and take a break. All this fun is made even more appealing with standard ticket prices applying for all sessions. Check out screening details and times at www.eventcinemas.com.au and start planning your trip to the movies! Zac Efron & Adam Devine Are coming to Australia! 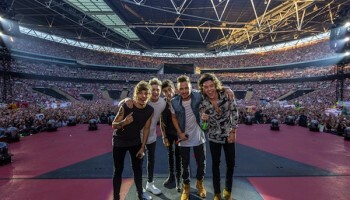 One Direction ‘Where We Are – The Concert Film’ – One Weekend ONLY!